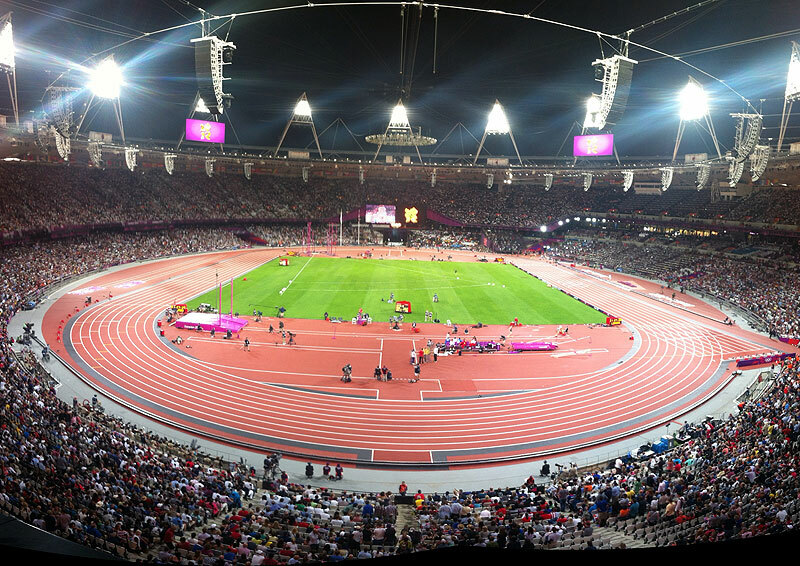 I was fortunate enough to have tickets to see the athletics at the Olympic Stadium on Friday 10 August. I saw the USA women win the 4×100 relay and break the world record, and the British men narrowly miss out on a medal in the 4×400 relay as well as the 4 x 100 heats, pole vaulting finals and women’s hammer finals. It was unusually hot, the crowds were brilliantly supportive and the sport utterly breathtaking. I now have post Olympic depression. Thankfully I have a few photos to remember the day by, more can be found on Flickr. Fab. We went Thurs 9 Aug to diving @ aquatics – brilliant and the whole day was just amazing. Cried through lots of the closing ceremony…. wish it wasn’t over too! It’s all still a bit surreal – looking back at the photos already it’s hard to believe we were actually there!